In case of dental emergencies, a moment’s delay can cause long term damage. You never know when you have dental issues, such as toothaches or a chipped tooth. Besides, young children and senior citizens can injure themselves badly in a moment’s carelessness. Waiting for the next morning in such cases is out of the question, as it can aggravate the problem. Hence, it’s always wise to keep some contact numbers of dentists and dental clinics noted down. In case of such dental mishaps in the middle of the night or during weekends, emergency dentists are the place to go. These dental clinics stay open round the clock when other clinics may be closed. Also, for those who are busy with work on weekdays and can only make time on the weekends to visit a dentist, can visit these emergency dental clinics on those days. 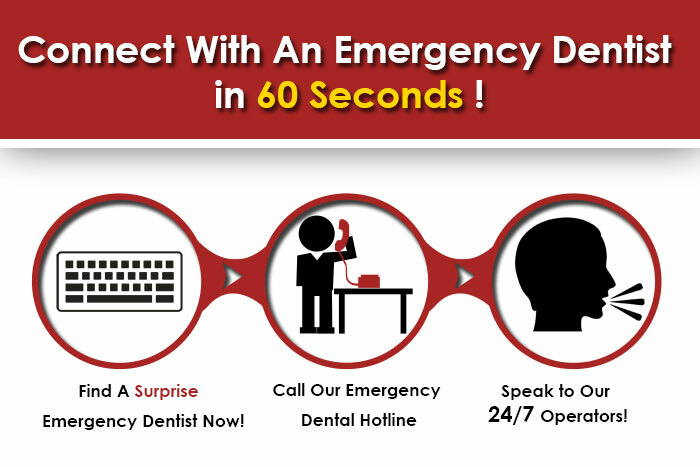 Therefore, there is no denying the importance of emergency dentists in an area. Surprise, Arizona happens to be the second fastest growing municipality in the greater Phoenix metropolitan area. With a population of around 117,517, the city has many dental clinics that provide emergency dental services to its people. For those living in Surprise, Arizona, knowing a few places to go to in a case of a sudden mishap can always prove handy. However, in extreme cases, one can always call 911. That said, it is best to know some of the names and numbers of the emergency dentists nearby Phoenix city area, as you never know when you might need them. And so, we have made a list of a few places where you could go to if you have an emergency. Located at 13933 W Grand Ave #302, Surprise Dental and Denture has been voted the best dentistry in surprise of 2015 for dentistry treatment and services as reviewed by patients.Even though this clinic promises minimal wait time for all patients, in case of emergencies, one can opt for a ‘no-wait appointment’ upon request. Children are warmly welcome here, as the friendly staff handles them with utmost care. Call for an appointment at 623-209-0012. Gentle Dental not just provides affordable dental services, they also provide high quality work for each patient. They accept all major PPOs and DHMOs, as well as financing plans through CareCredit and SpringStone. Their wide range of services include x-rays, veneers, sealants, fillings, crowns, and bridges, etc. Make an appointment today at623-295-0449if you have an emergency. They are located at 15601 W Bell Rd Suite 202. The Festival Dental Group and Orthodontics provides general, specialty, and cosmetic dental care to its patients. They are located at13869 W Bell Rd #103.Call them today for more information or to book an appointment at 623-584-4015. They provide services, such as Implants, Grafts, Extractions, Dentures, and Whitening, etc. Located at 15033 W Bell Rd, you can call them at 623-537-9100to book an appointment or for more information. Looking for urgent dental care in Glendale, AZ?